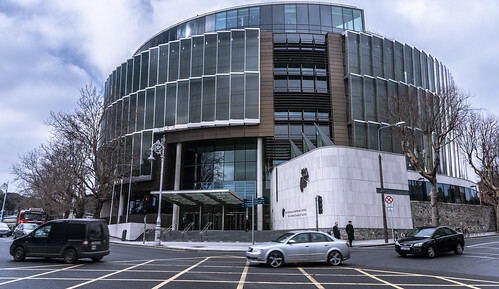 Criminal Courts of Justice, Dublin. The building has been constructed to deal with criminal business of Dublin District Court, Dublin Circuit Court, Central Criminal Court, Special Criminal Court and Court of Criminal Appeal. Situated on the western side of the city's Legal Quarter, close to current court buildings, the Luas line and Heuston station, the building is on the corner of Parkgate Street and Infirmary Road, an important gateway to the city's civic and business area.